In just six weeks, you can be on your way to a financially rewarding career as a Certified Nurse Aide. There are numerous colleges, universities, and medical facilities throughout New York City that offer affordable nursing assistant training. The New York State Department of Health regulates the certification of nurse assistants, so they should be your first point of reference in your search for information. To begin working as a CNA, you need to pass a federally approved training program, which will prepare you for the NYS exam. CNAs must also undergo a criminal background check, which includes fingerprinting and a national check for criminal convictions. The Department of Continuing Education at ASA College prepares students for satisfying careers in the healthcare industry. You can enroll in the Certified Nursing Assistant (CNA) program even if you do not have prior experience. With 120 hours of combined classroom and clinical training, the dedicated instructors give students all the information required to pass the state exam and succeed on the job. An experienced professional works directly with students throughout the clinical externship. The school’s Career Services Department offers free job placement assistance to successful graduates. Use the contact information below to get a current class schedule and fees. Isabella conducts two free CNA programs every year. The program provides 100 classroom hours along with 24 clinical hours to equip students with the required skills. Upon completion, students are eligible to take the New York State licensing exam. In addition to providing free tuition, Isabella also pays the students’ fees for registration and licensing. A maximum of 10 students are allowed in each program, which limits the enrollment to 20 students a year. Most graduates go on to work at Isabella’s Geriatric Center or other medical facilities within the community. 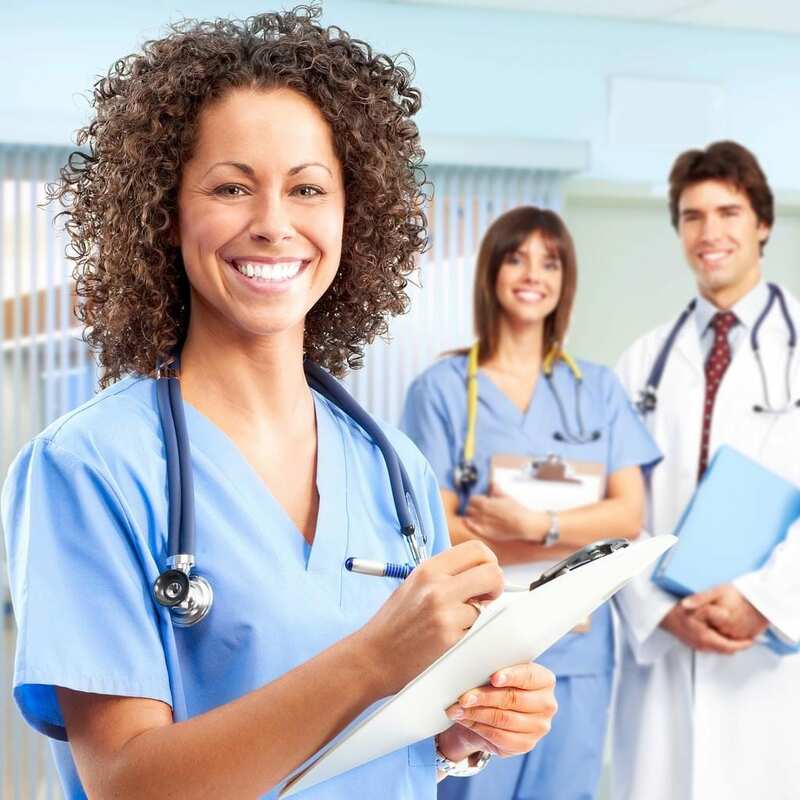 An Associate Degree in Medical Assistance gives you a distinct advantage over other CNAs. The comprehensive training makes Mandl graduates among the best trained in the nation. Applicants must have high school diploma to qualify for admission. The Associate’s Degree program covers 60 credit hours and equips students with the knowledge, clinical skills, and office procedures to function in a demanding medical environment. During the two-year training, students have access to the school’s state of the art laboratory, cutting edge technology, and supervised hands-on training at an off-campus medical facility. The course credits are transferrable. Tuition costs $6,000 per semester for full-time students or $500 per credit for part-time students. The Manhattan Educational Opportunity Center’s nursing program prepares students for the NYS exam and CPR certification. Applicants to the program must be New York State residents over 18 years of age. Admission depends on the pre-admission interview and applicant’s ability to meet the low-income guidelines. The committed instructors, small classes, and supportive learning environment are just a few reasons more than 99% of enrolled students go on to pass the state exam. Absenteeism is not permitted as the clinical training is essential to the students’ success. Tuition is free for economically and educationally disadvantaged residents. Mildred Elley’s nursing assistant program covers core content to equip students with the skills to care for patients at hospitals and nursing homes. The course content preps students for the certification exam, including the clinical, written and oral assignments. The moderate-paced program extends for 16 weeks. Students attend classes one day a week where they spend the first 12 weeks in the classroom and the final 4 weeks at a medical facility. Instructors are full-time LPN. The school’s labs feature state of the art technology, which gives students an edge in the real-world. Students of Mildred Elley’s programs can apply for financial aid through a number of programs including Federal PELL Grant, Federal Work-Study Program (FWS), Tuition Assistance Program (NYS TAP), Federal Stafford Loans and PLUS Loans (low-interest loans) and many others. Contact the school for more information about tuition, scholarships and other grants. New Age Training designed the CNA training program for individuals who want to enter the healthcare industry as a nurse assistant. The New York State Department of Health-approved curriculum prepares students for the state exam with both the theory and clinical segments. New Age Training is an approved testing center so students can train and test in the same facility. Classroom training accounts for 95 hours. After the classroom training, students transfer to a health facility for 30 hours of clinical training. At $1650, the tuition is more affordable than most and includes study materials, uniform, CPR fee, and lifetime job placement assistance. The Nurse Assistant course at the New York Career Training Center prepares students for a career as a nursing assistant. The state-approved program comprises of 130 hours of training in the classroom and local nursing facility. The classroom training covers 100 hours of the curriculum, and the internship is 30 hours. Instructors cover the skills students need to provide personal care to clients and assist with fluid and nutrition and elimination needs. Course topics include but are not limited to infection control, anatomy and physiology, medical terminology, vital signs, communication, safety procedures, hospice care, and personal care skills. Morning and evening schedules are available. Day classes meet Monday through Friday from 9:00 am to 1:45 pm for 4 weeks. Evening classes meet Monday through Friday from 5:30 pm to 9:30 pm for 5 weeks. The total cost of attendance is $819 including books and registration. The state-approved nurse assistant program at the City College of New York is approved by the New York State and comprises of 130 hours of classroom instruction and clinical internship. Students learn how to provide basic nursing services under the direction of a licensed nurse or physician. The curriculum covers topics such as anatomy and physiology, fundamentals of nursing, and Basic Life Support. During the final two weeks of classes students will have the opportunity to care for patients in a long-term care facility under the direction of a licensed nurse instructor. The program is available on an evening or Saturday schedule. Evening sessions meet from 6:00 pm to 9:00 pm for 44 sessions. Saturday sessions are from 9:00 am to 5:00 pm for 17 weeks. Interested persons must have a high school diploma, GED or HSE, attend a CNA orientation, and take an assessment test. Tuition for the program is $1,199 and does not include books, medical exam, uniform, and test fee. Registration costs $25. The nursing assistant course at the School of Allied Health is licensed by both the NYS Education Department and the NYS Department of Health. It provides the opportunity for adult learners to acquire the skills to prepare for a career in health. The training also prepares students for further studies, such as nursing or other health care occupations. It covers 125 hours of classroom lectures and a supervised clinical experience in a skilled nursing facility. TIA’s students pass the state exam on their first attempt. Other benefits include small class sizes, affordable tuition, excellent location, easy payment plans, job placement assistances, quality instructors, and multiple hands-on training opportunities. Applicants do not need a high school diploma to enroll in the program. Since the class size is limited to 12 students, so admission is on a first come first served basis. Tuition for the program is $799. TIA accepts Workfore1Vouchers.